The company is located in the Baoji hi-tech industry development area of China. Baoji is famous as “Titanium City”, with advantages of abundant resources, high technology and strong productivity. Our company cooperates with NORTHWEST INSTITUTE, and manufactures good quality products for our customers. 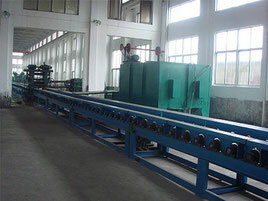 Currently the company has two nickel strip production lines with an annual output of 400 tons; There are other production lines for nickel iron and titanium strip manufacture. The products were sold to over 100 companies in the country. 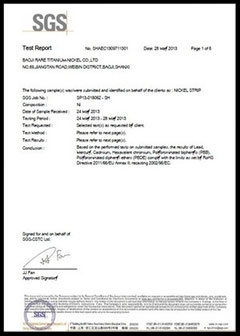 Our products are conformed to national standards as in JIS (Japan), ASMT (USA) and DIN (Germany) as required. We are currently supplying a wider range of high-quality metal products to EU, Japan, US, Singapore, Indonesia and Malaysia. 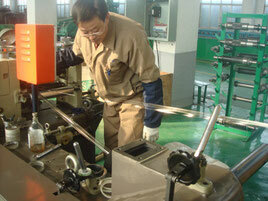 The company has been concentrates on the quality control with advanced technology and strict inspection methods . It has won markets and stable customers with high quality products and perfect customer service system. With our concerted effort and our Sincerity-Based bu siness principle, Baoji Rare will uninterruptedly supply you with top quality products together with perfect services at　reasonable prices to meet customer needs. FAST TURN AROUND - We understand the importance of fast answers and quick delivery. At Rare, we strive to answer your questions instantaneously and deliver your product as if every order is expedited. Our mission is to facilitate every aspect of our business to keep our customers satisfied. QUALITY - Our commitment to quality is unsurpassed. Rare is a manufacture of nickel, kovar, invar 36, FeNi42, Permalloy, Elastic alloy, and Nitinol products. 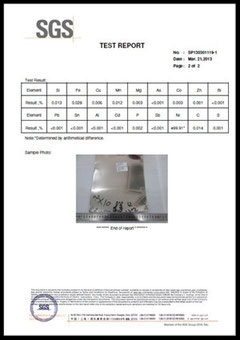 The raw material's purity is the key element that will effect alloys product's performance. 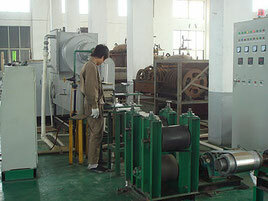 The best raw materials allow us the best start of manufacturing. Our raw material is supplied by the best qualified and most powerful suppliers in China, such as Shougang Group, Jinchuan Group. Shougang Group is the largest and state owned metal supplier in China. Casual inspection will be taken during and after production. Experienced teams, effective managing system, advanced methods and producing equipment guarantee the stable supply of good and reliable products. 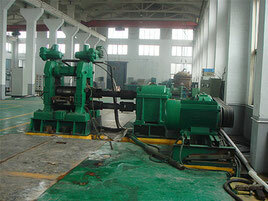 Every step of the production and the whole processing are under careful controlling. 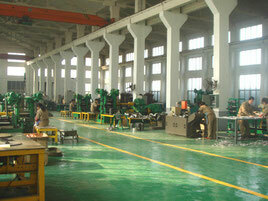 Third Party Inspection can be provided according to customer's demand. we have committed our quality testing to the powerful institute for Non-ferrous Metals Analysis and Testing in China since 2005. The institute's name is: NORTHWEST Institute for Non-ferrous Metals Analysis and Testing. 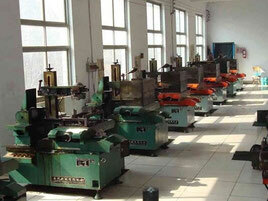 It is a state-run institute, and the best institute of non-ferrous metals analysis and testing in China. Meanwhile, the SGS lab tests are also availale.